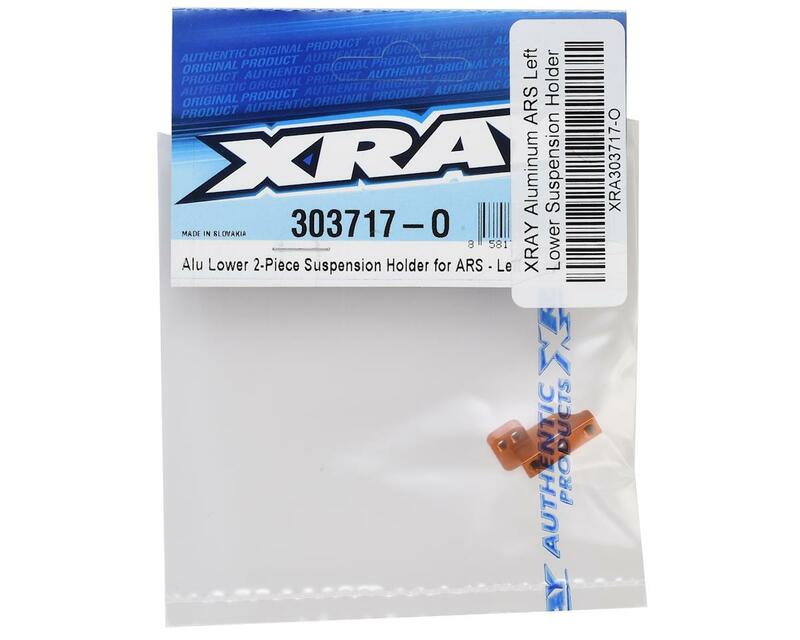 This is an optional XRAY Aluminum ARS Left Lower Suspension Holder. 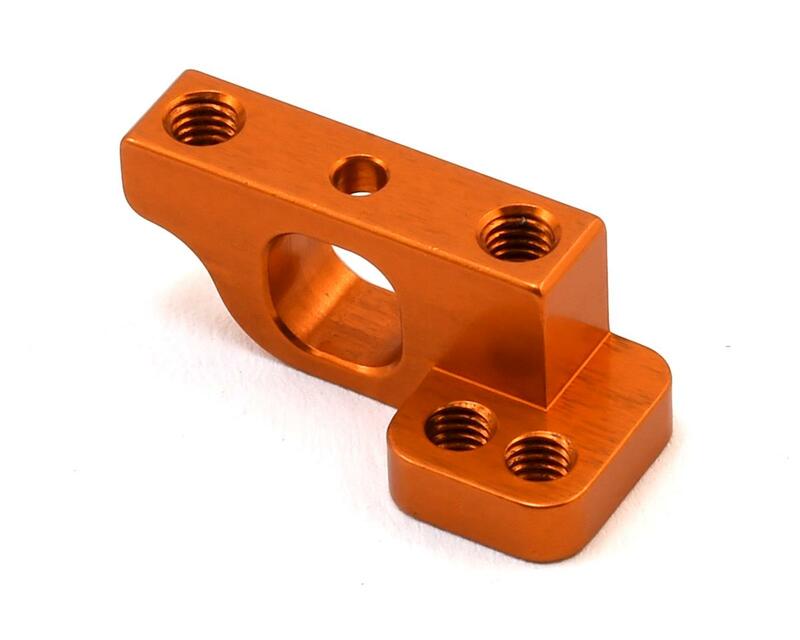 This lower LEFT suspension holder is CNC-machined from premium Swiss 7075 T6 aluminum and is suitable for standard rear suspension, also suitable for ARS with extra roll center positions. The lower design of the suspension holders helps to generate more traction. Recommended for asphalt tracks with low-to-medium traction. Must be used with: right alu holder XRA303716-O and Rear – rear low alu holder XRA303722-O.